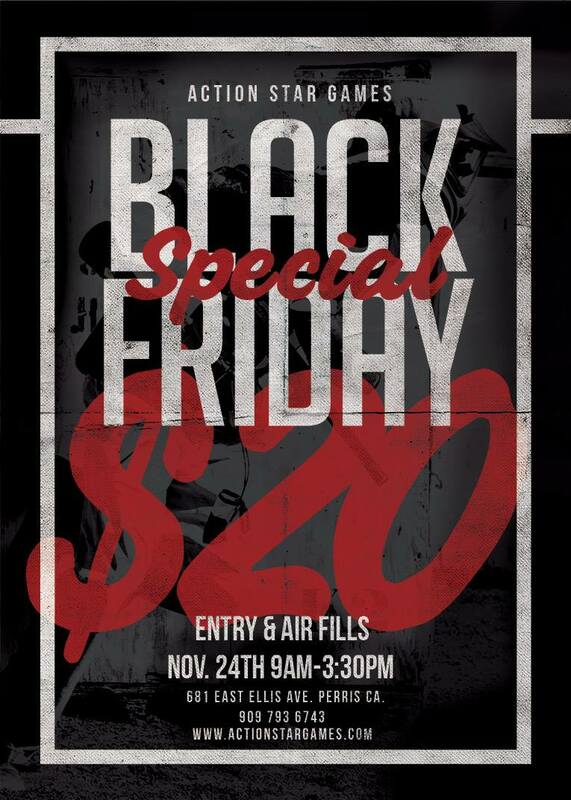 Monday May 28 Entry is only $20 and includes air fills. 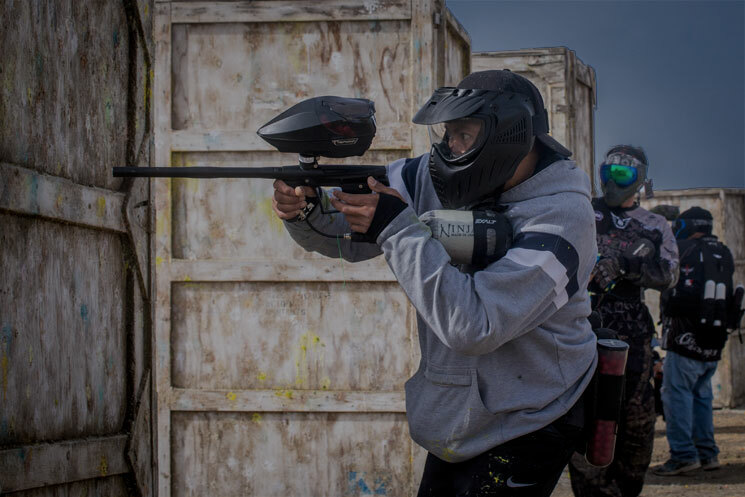 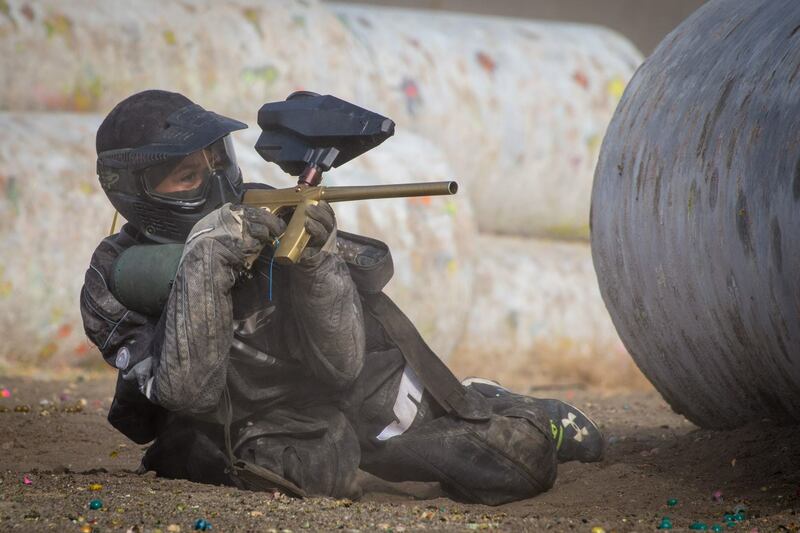 Hours on Memorial Day 9 a.m. - 3:30 p.m.
Black Friday Paintball at Action Star Games Entry is only $20 includes air fills Friday November 24 9 a.m. - 3:30 p.m. 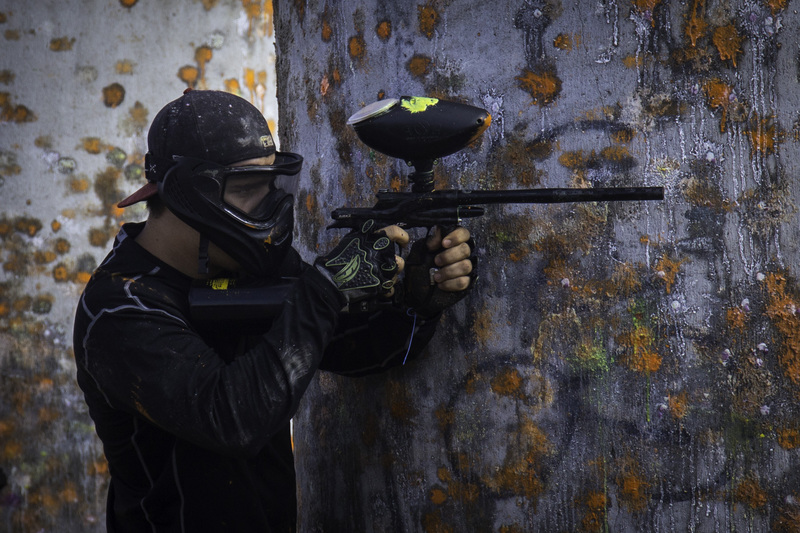 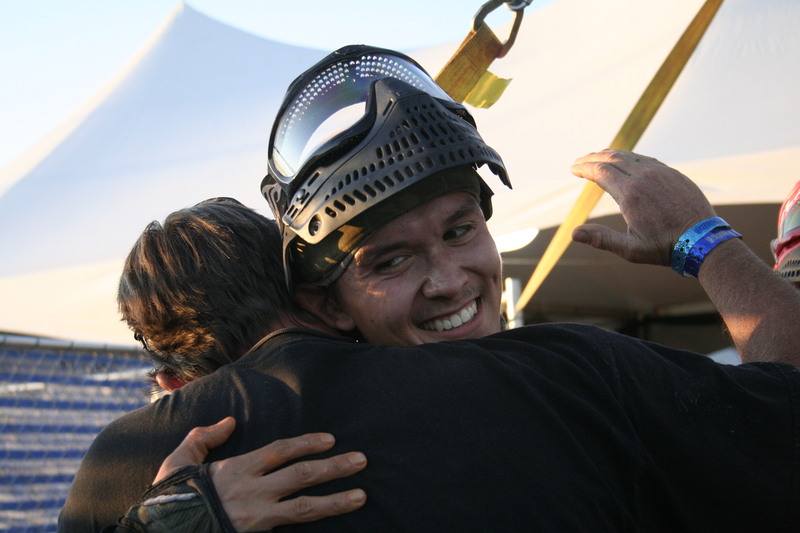 Play paintball with Dad on Father's Day. 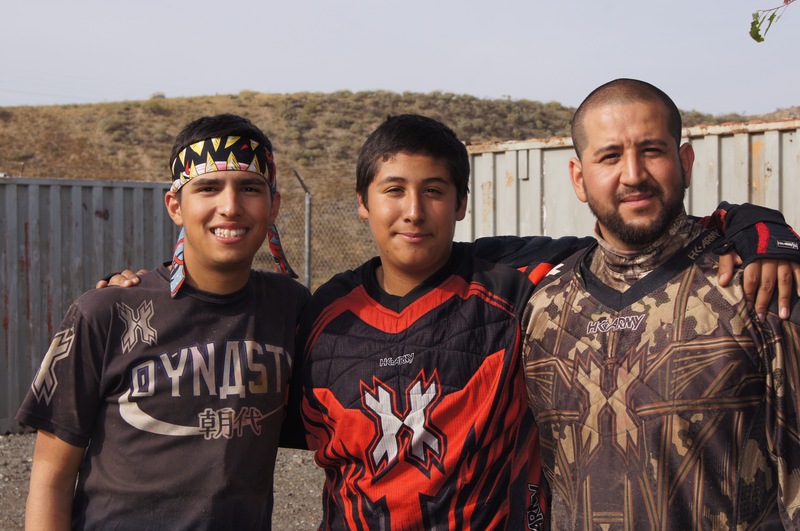 Dad get's $15 entry with one paid entry by his son or daughter. 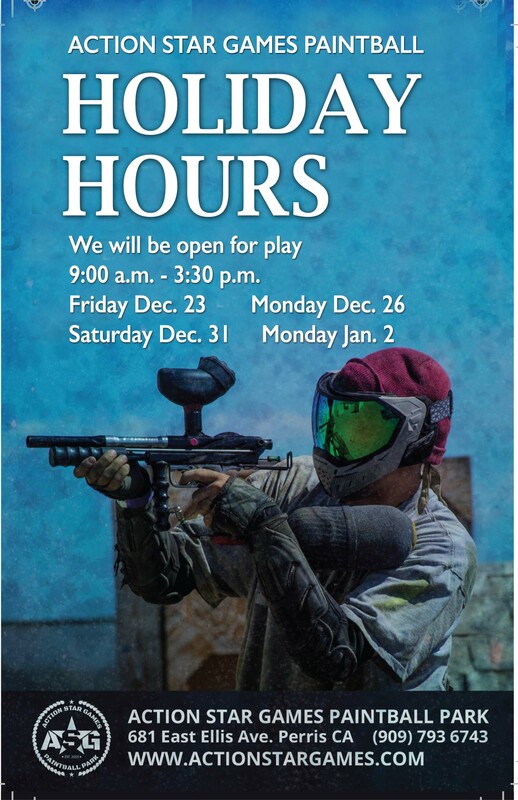 Special Holiday Hours Monday Dec 26 Saturday Dec 31 Monday Jan 2 Games begin at 9:00 and run until 3:30 p.m. Merry Christmas!